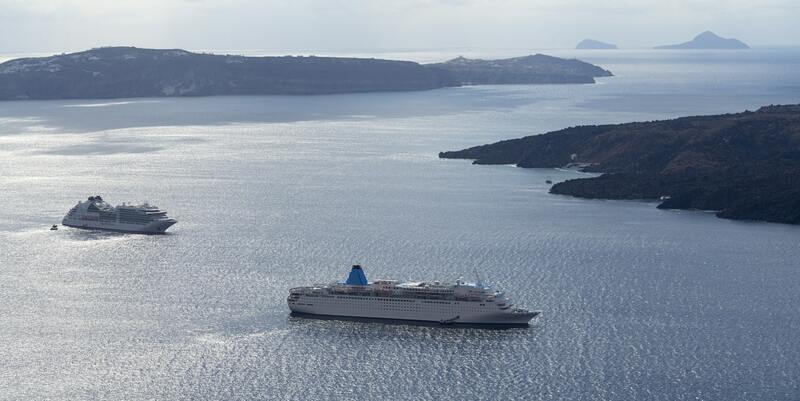 At the moment there is no direct ferry connection between Athens (Piraeus or Rafina) and Zante (Zakynthos). It is however very easy to travel to Zakynthos from Athens, via the port of Kyllini. Below you can find more useful information about how you can get to the port of Kyllini, ferry schedules to Zakynthos, as well as tips for your ferry trip to Zakynthos and the Ionian islands. Zante is well-connected with mainland Greece and primarily with the port of Kyllini in west Peloponnese. Ferries depart from Kyllini to Zante every day, during both the summer and the winter months. There are also frequent ferry connections to Zakynthos from the neighboring island of Kefalonia. Search ferryhopper and find all available ferry schedules to Zante and book now the cheapest ferry tickets for your holidays in the Ionian sea! The port of Kyllini is located in the north west side of the Peloponnese peninsula, approximately 280 km from Athens and 74 km from Patras. You can easily get from Athens to Kyllini by car or bus (KTEL). The duration of the Athens - Kyllini trip is approximately 3,5 hours. If you wish to travel from Kyllini to Zakynthos (Zante) you have many ferry options every day as the ferry route is served by at least 4 or 5 itineraries per day during both summer and winter season. Especially in the summer the ferry connections from Kyllini increase due to the high demand. The duration of the Kyllini - Zakynthos ferry trip is only 1 hour. If you plan your holidays from Athens to Kefalonia you might also want to consider a short trip to Zakynthos! Ferries from Kefalonia to Zakynthos depart once or twice per day from the port of Pessada, on the south-west side of Kefalonia. The port of Pessada is located approximately 45 km (28 miles) from the port of Zakynthos so the ferry trip lasts 1 hour. If you wish to travel from Athens to Zante, there is no direct ferry option but it is very easy to get to Zante by car / bus and then ferry. The easiest way is to get to the port of Kyllini, in Peloponnese, which is 3,5 hours away from Athens and then get one of the ferries that depart daily to Zante. Search Ferryhopper for all the ferry schedules and cheap tickets from Kyllini and book your trip to Zante fast and easy! Buses from Athens to Kyllini depart daily from the Athens Central Bus station in Kifisos. To reach the port of Kyllini you need to book a ticket for the route ‘Athens to Amaliada’ and get off at the stop ‘Lechena’. The navigation in the port of Kyllini is quite easy but since it’s a small harbour we would highly recommend that you get there on time for your ferry trip (especially in the summer months) in order to avoid any delays in boarding. Zakynthos is not a very big island however we would recommend that you rent a car or you bring your own vehicle in order to explore the island. Daily cruises around the beautiful beaches of the island is also one of the most popular activities in Zakynthos. Log in to save passenger details Don't have an account yet? Sign up for free!